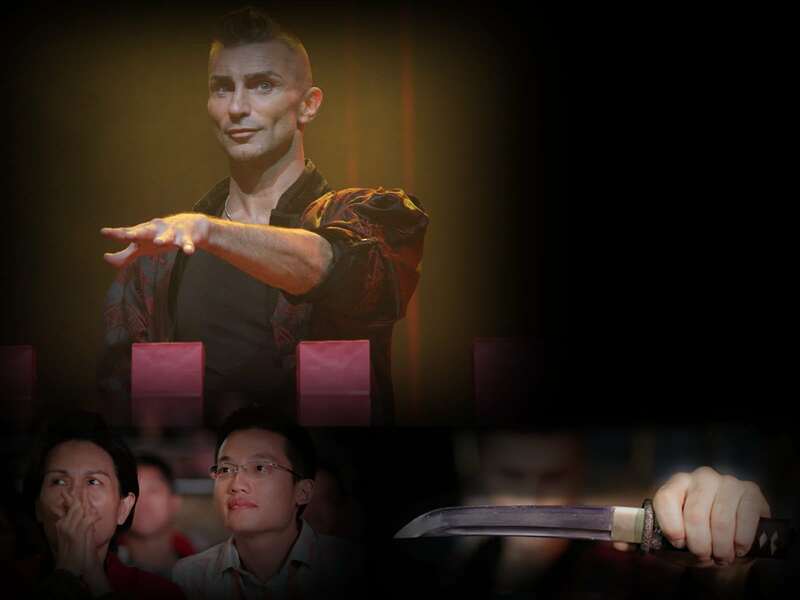 In this mental feat, a Tanto [Samurai knife] is vertically placed [point up] in one of five wooden bases according to an audience member's choice. All the bases are then covered and mixed so that no one is able to keep track of the knife. Aaron Crow starts to randomly move his hands over the bags, by following the eerie clicking of a metronome. A spectator has the upper hand... or not ? A heart-racing and yet funny-daredevil challenge between an audience member and Aaron Crow.